The Australian Education System consists of primary, secondary, and tertiary education. Tertiary education includes the Technical and Further Education (TAFE) system and the university sector. TAFE is an Australia-wide system providing an extensive range of education and training services. TAFE colleges are government funded and accredited. There are more than 80 TAFE institutes in Australia with a total enrolment of over 1.7 million students. TAFE courses have a strong vocational focus and are designed in consultation with industry. This guarantees that qualifications meet employer needs. In addition TAFE courses at certificate and diploma level provide a pathway to university study. 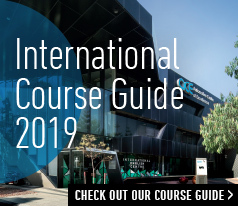 Bendigo TAFE offers a number of courses in the following study areas: General English Skills, Beauty, Information Technology, Building Design and Engineering. Bendigo TAFE provides a number of services to help you successfully complete an Australian qualification. This starts before you arrive in Australia and continues until your study is completed. Provide you with a welcome and orientation program to support your study and life in Bendigo. You must remain enrolled in a full-time CRICOS registered course. An international student may not transfer to another provider prior to completing six months of their principal course of study. You must maintain satisfactory attendance (at least 80%) in the course. Your progress for each study period must be satisfactory as required by the Educational Services for Overseas Students Act (ESOS). You must maintain adequate health insurance cover during your stay in Australia. The average annual cost of OSHC for a single student is AUD390. OSHC Insurance can be arranged by Bendigo TAFE, if you choose to arrange your own then evidence must be provided prior to arrival. You must have sufficient funds to pay for your study and live in Australia for the duration of your stay. You must notify Bendigo TAFE as your education provider of your residential address in Australia within 7 days of arriving in Australia. If you move, you must notify us of your new residential address within 7 days of the change. It is possible to work in Australia while you are studying. International students can work up to 20 hours per week during study terms and full-time during term breaks. Please refer to the following external websites for more information about living and working in Australia: Fairwork website and living in Australia.